Unique pedals fixate the foot and help avoid slipping while you are driving. Promax alloy caliper brakes provide easy braking even at high speed. 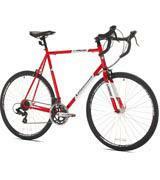 Schwinn Phocus is a pro sportsmen's road bike choice owing to its high-quality elements, light weight, and design. 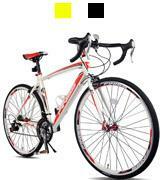 You will be able to take part in races with this road bicycle. The special aerodynamic frame shape is unrivaled and will help you enhance your results in races. Brakes and shifters may need some adjustment. 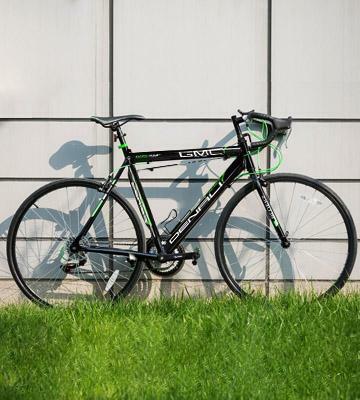 This road bicycle model features everything a beginner biker might need. The variety of speeds allows the rider to select the best one for their comfort. 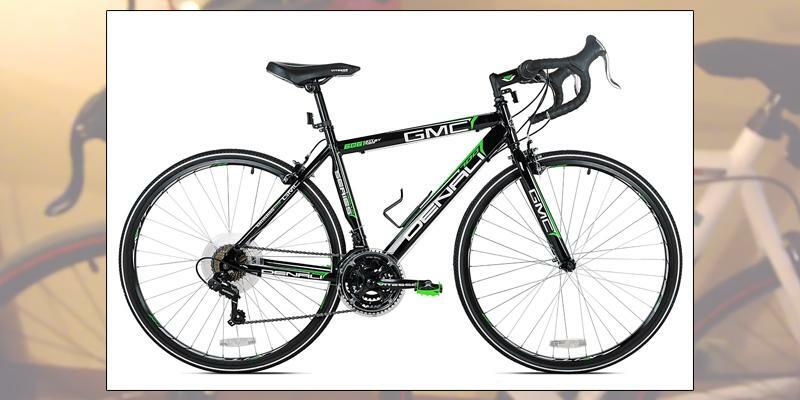 GMC Denali road bike is extremely easy to assemble, and its tires are equally good for city roads and country terrain. The shifters may take time to get used to. 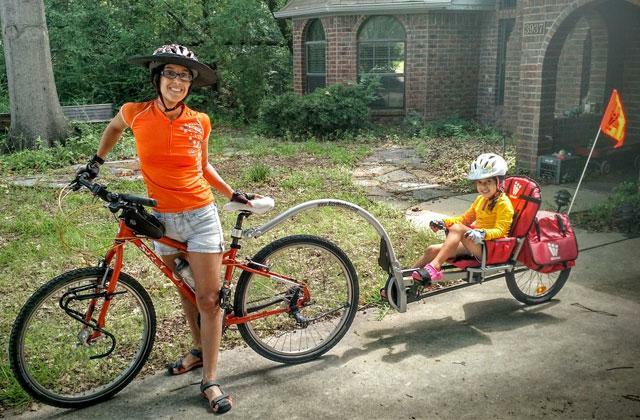 Make these your family road bikes! 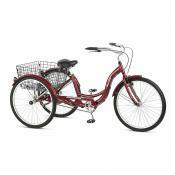 There are 3 frame sizes and several colors available, so you can get one for every family member and travel together. 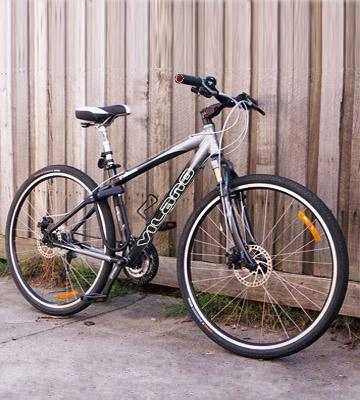 This road bicycle employs the Shimano CS HG20 cassette that makes it quiet and ensures precise shifting between gears. 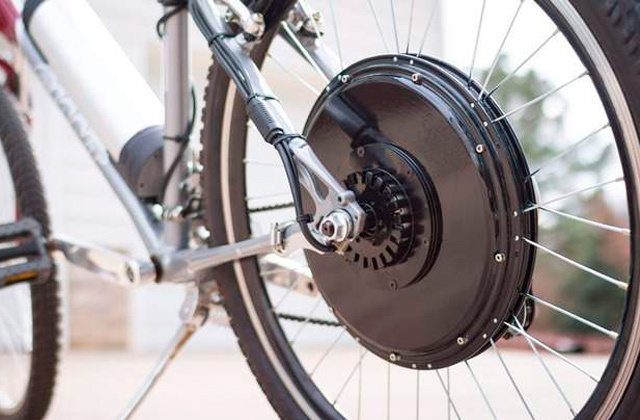 By adding sprockets it is possible to obtain up to 28 speeds. The seat is not very good for long rides. 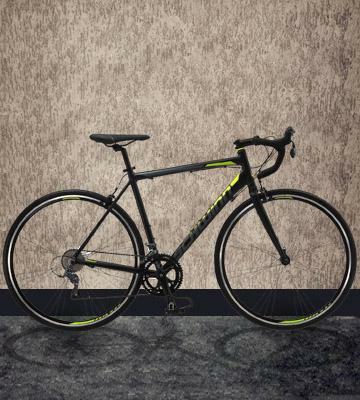 For a steel-framed road bicycle, Giordano Libero Acciao is quite lightweight. It is also able to accelerate pretty nice. And as it is steel, expect it to be sturdy and durable. 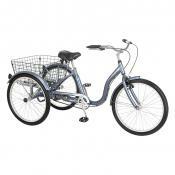 The seat of this road bicycle is designed for your utmost comfort. 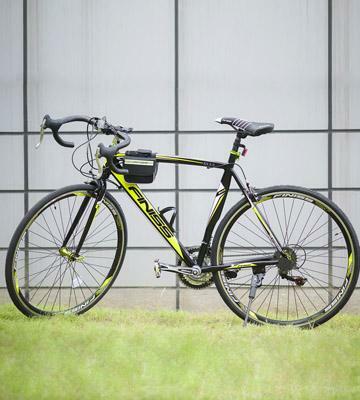 And for its class of bikes, this Vilano Hybrid is really lightweight. Not quite suited for races. 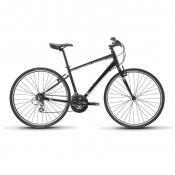 Vilano Hybrid Flat Bar Commuter Road Bike combines the mountain bike seating comfort with the road bike's speed. The control over speed and braking is really convenient. 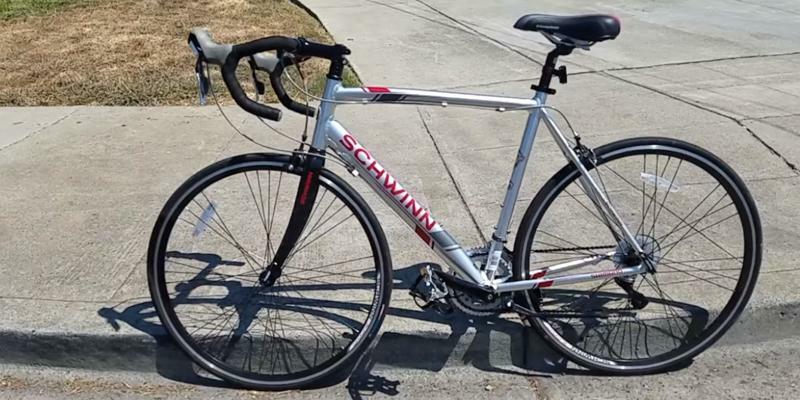 In order to make their road bike more durable without adding much weight, Schwinn equipped the Phocus 1600 Men's Road Bike with a lightweight aluminum frame and an extra-light carbon fiber fork. Usually, the front wheel does not get the most of the load during a ride but it does suffer more from the road unevenness. 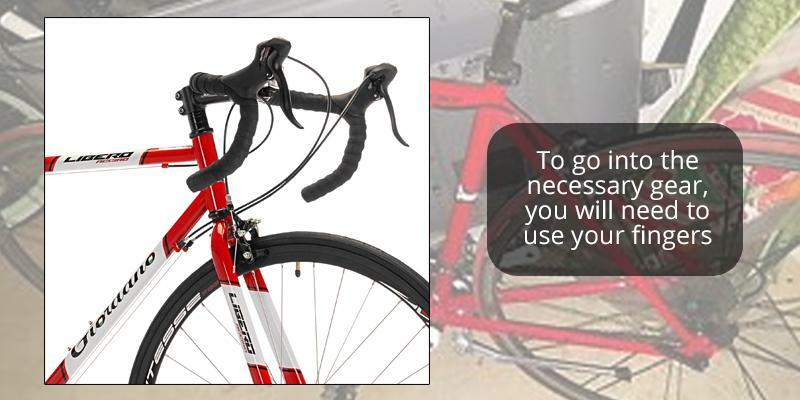 But with the combination of materials this road bicycle features, you can be confident in your bike's durability even at high speeds. And the said speeds are easy to reach due to the light weight. The same goes for control — it is simple enough even if you do not hold the bars with all the strength you've got. No need to mention that carrying this road bicycle won't be a problem too. As for the brakes, the manufacturer took care of the safety and comfort when you need to stop, even if the stop is quite sudden. The Promax alloy caliper brakes are made of cold forged 6061-T6 aluminum alloy and exceed the ENR Standards. These brakes make one of the most effective braking performances possible. 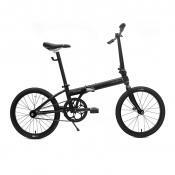 The finish is black matte, same as the road bike fork, so the brakes look like an indistinguishable part here. 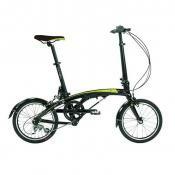 The brake shifters move smoothly, you may even think this is a hydraulic mechanism. The braking itself depends on how hard you press the brake shifters. These are rarely the details you will look at when purchasing a road bicycle, but when you try them you'll see how much more comfy your ride becomes. First is the peculiar pedal design with a toe cage. This may look strange at first glance but we assure you it is invaluable. The toe cage will fix your foot on the pedal in order to avoid it slipping when you ride (it happens, doesn't it?). A tiny thing but how great! Or another distinction! The brake shifters have the speed switches on the inner side. With them, there is no need for you to take your hands off the handlebars, simply press the switch with your fingers and it will change the gear without you having to distract yourself from the road. Marvelous! 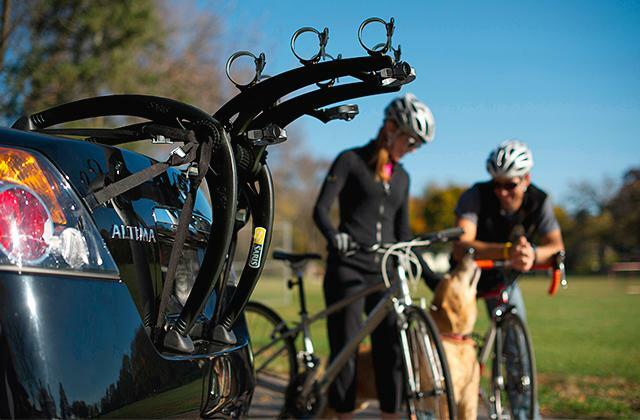 Ibera Lightweight Alloy Water Bottle Cage is a wonderful addition for a long ride. Put a water bottle inside and stay hydrated. It is also very lightweight and it looks stylish. When you have a bottle holder, you also need a water bottle! CamelBak Podium Big Chill 25 oz Insulated Water Bottle is a choice worth considering. How Does the Gear Work? When riding uphill use the smallest sprocket in a crankset (1) and in a cassette 5-7th sprockets depending on the hill angle. The smoothest start is easily achieved with 2nd front sprocket and 4th or 5th rear one. With these gears, you will hopefully avoid creating heavy loads on a drivetrain and will have a nice comfy ride. Enjoy! Road bicycle today is not only a means of transportation. It is also something that has the potential to get you more noticed. Merax Finiss Road Bicycle is represented in three frame sizes (50 / 54 / 58 cm) for people of various heights and in three unique stylish color solutions to make you visible on the road: red and white, yellow and gray, and green and black. Choose the one that highlights your style the most and let it add to your image. When you sit on a road bike for the first time after using a hybrid or other type, you will probably feel uncomfortable. This is mostly because your body is used to a different position: road bicycle demands peculiar form and when you ride with your hands on the drops you will sit almost horizontally with more load on your hands. Moreover, this strange handlebar! How do you even deal with it? It's more narrow than a mountain bike. But the truth is, the "rams horn” design of the handlebar gives better control, and you ride more smoothly at high speeds. The trick here is to just ride few miles for your muscles to adjust. The three possible hands positions give you a chance to sit the way it is more comfortable for you and change the position when fatigue gets to you. 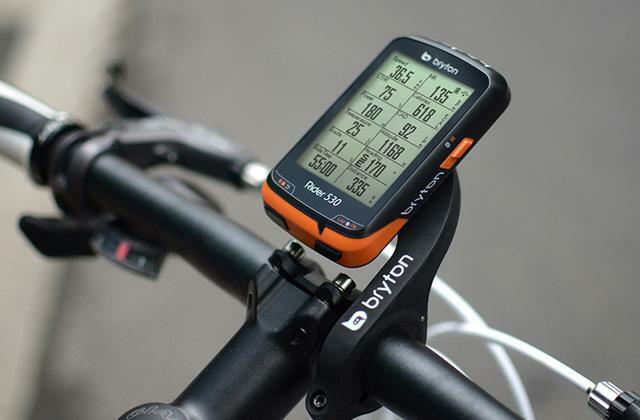 Bike Computer will become an invaluable assistant in monitoring your speed, the distance you've covered, and more. A Multi-Function Bike Repair Tool Kit will handle urgent repairs on the road and adjust the bike. 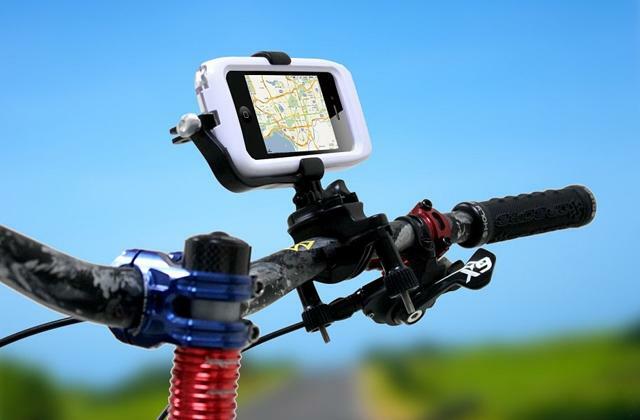 A must have for any cyclist. Shimano Revo shifters look like a direct continuation of the grips, an onlooker may think there are no gear shifters at all. But they could not be further from the truth! 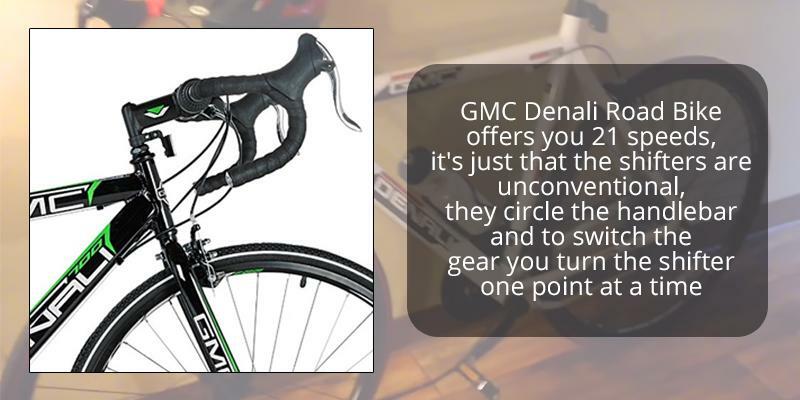 GMC Denali Road Bike offers you 21 speeds, it's just that the shifters are unconventional, they circle the handlebar and to switch the gear you turn the shifter one point at a time. 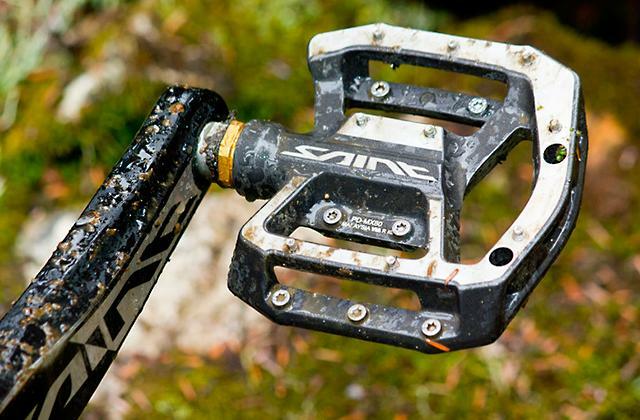 The operation principle is fairly simple: when you turn the Shimano Revo shifters, the gear shift cables pull changes, and it drags the chain to switch to another sprocket. The system takes up only a bit of space on your handlebar, it does not get in your way when you grip the bar, and it sets the chain position more accurately. Sure, it needs some time getting used to as a single turning click is a gear change and the gears are to be changed point-by-point (abrupt switching from the first to the last may result in the chain falling off) but when mastered it makes the riding a breeze. You will be able to speed up quite fast with these road bike shifters. 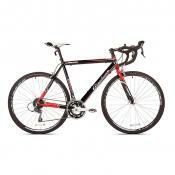 GMC Denali road bike boasts the popular Promax braking system. 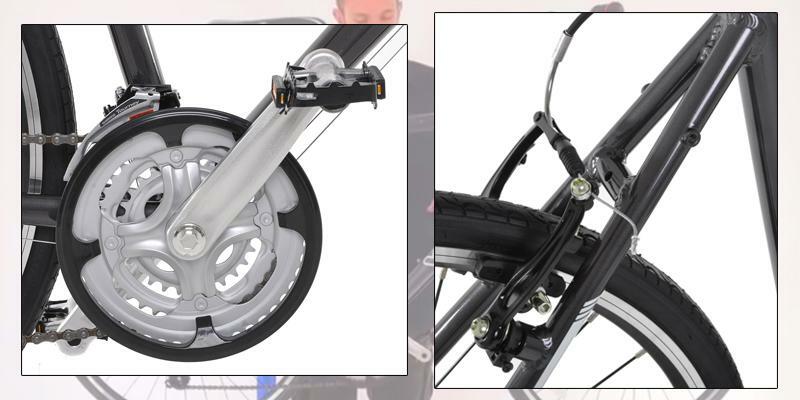 The brakes under this brand can be found on beginner bicycles with the same frequency as on the professional cross bikes and road bikes. Quite the range of prices makes it possible to choose the best system for your wallet and still have the Promax high quality. 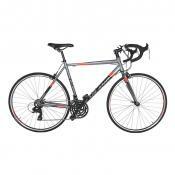 And the road bike offered here possesses not the cheapest option. An average recreational cyclist usually rides at 18 mph or so on a flat terrain, whereas professional road bike riders are capable of easily going at 25–30 mph. However, same as in any sports, there was a number of records set in cycling, too. In 1984 in Mexico, an Italian cyclist Francesco Moser had beaten the previous record of Eddy Merckx by covering 50,808 kilometers in an hour. Five years later he admitted to blood doping for that win. At that time, blood doping was not forbidden. 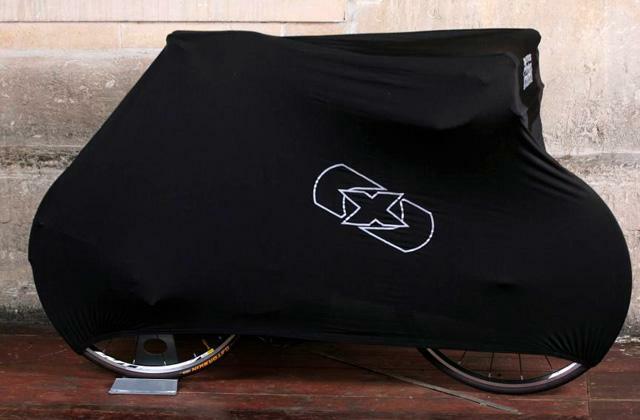 In 2013, the new world record was set by a Dutch cyclist Sebastiaan Bowier who covered 200 m in a fully faired front-wheel-drive recumbent lowracer bicycle at a speed of 133.78 km/h (83.13 mph). The full aerodynamic fairing of his bicycle was made of extra-light carbon fiber. The absolute speed record in cycling straight, featured in a Guinness Book of Records, belongs to Fred Rompelberg, also a Dutch cyclist. In 1995, at the age of 50 and being the oldest professional cyclist in the world at the time he cycled behind a motor dragster at a speed of 268,831 km/h (167,044 mph). The dragster created an air bag that protected Rompelberg from the air resistance. 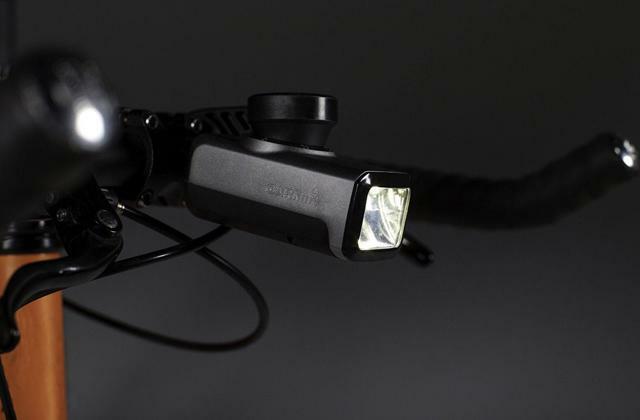 Bicycle U-Lock will protect your road bike from thieves, and Combo Lights will make the road visibility so much better! Be safe! 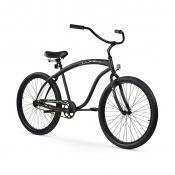 Many novice riders are reluctant of using only the front brake due to the fear of going over the bars. Some even prefer to use the rear brake only. But the rear brake is for additional control and when you go fast and then only brake with rear your bike might slide and skid. 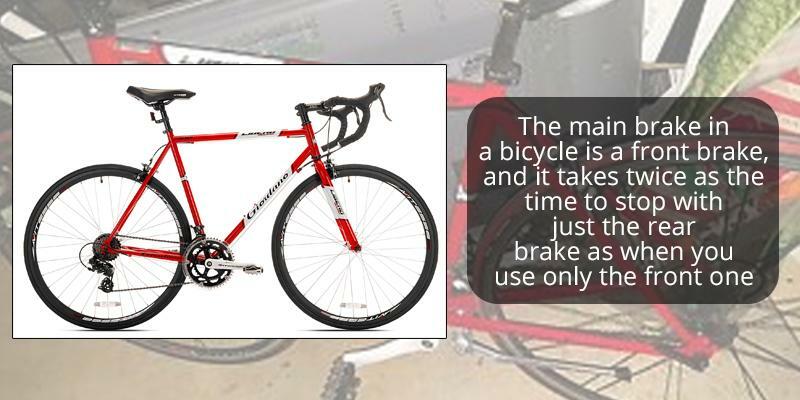 The main brake in a bicycle is a front brake, and it takes twice as the time to stop with just the rear brake as when you use only the front one. To not fall over the bars you need to try and not put all your weight on your hands. Stay on the seat. But if you are not confident enough it is still the best to use both brakes simultaneously, it is effective and you will not have to suddenly remember which brake lever to push when you need to stop suddenly. 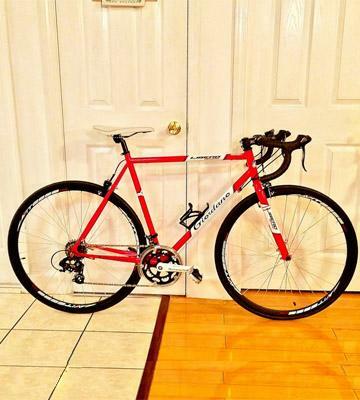 Looking at this Giordano Libero Acciao Road Bike, we couldn't pass the shifters. The Shimano Tourney STI shifters combine the brake shifters with the gear shifters. To go into the necessary gear, you will need to use your fingers. A little trigger on each brake is made for downshifting the gear, and to up-shift just push the brake levers inward. The braking is same as the standard system — simply push the braking lever. All-in-all, the handlebar is rid of additional levers with the brake levers performing as gear shifters at the same time. For a long ride on your road bicycle to be comfortable and safe, a good bar tape is a must. A good tape helps you grip the bar more confidently, adds control over the bike and also keeps the cables to the mechanisms for braking and shifting. The tape can be made of various materials, from leather to rubber, plastic and other synthetic substances. Most experienced riders advise replacing the tape after 5,000 km or if you fall and damage your bike. Changing the tape is no big deal, you can do it yourself anytime. Replace the old tape from your road bike handlebars, clean the bars from dust and tape remains, check the cables, and start taping the new one. Begin at the end of the bars and move up; leave some tape over the bar end. When you finish, tuck the free end inside and put the bar end plug. Mind the wrapping direction: when you ride, you move your hands and the torque may distort the tape if it is not wrapped the right way. If you stand behind the bars (like when you ride), the right side should be wrapped clockwise and the left one counter-clockwise. The Floor Pump will make pumping the tires of your bike extremely easy and quick, whereas the Tour Patch Kit will help you get by if your tires come across bumps and suffer them. 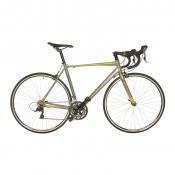 Vilano Hybrid Flat Bar Commuter Road Bike is a great choice if you enjoy riding and do it often. 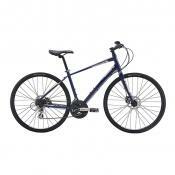 It is also really convenient to just ride around the city as with the flat bar road bike you will easily monitor the situation around you and follow the traffic. 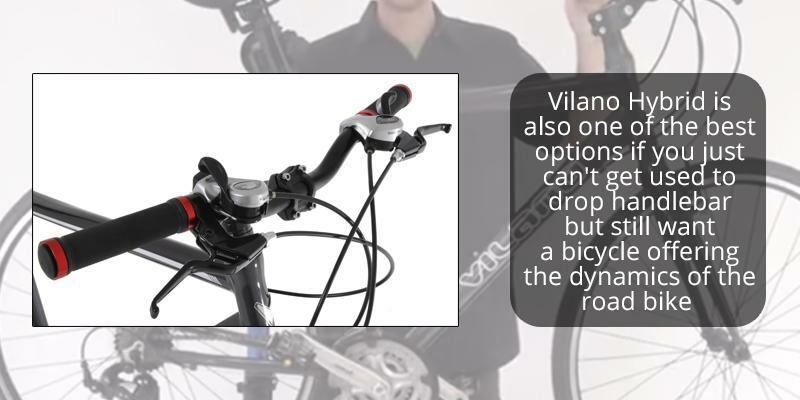 Vilano Hybrid is also one of the best options if you just can't get used to drop handlebar but still want a bicycle offering the dynamics of the road bike. 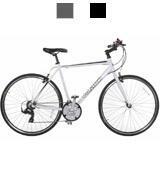 The components this trek road bike is equipped with are of a decent quality and will make your riding experience a pleasurable one. Be confident in yourself with this highly practical offer. In some ways, a bicycle needs maintenance more often than a car. Do it in time and your road bike will serve you for years without fail. 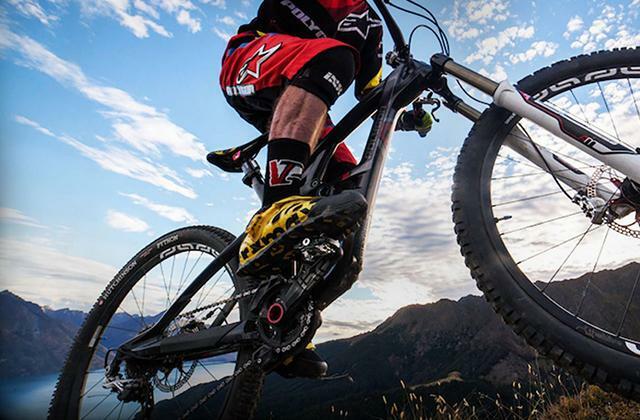 The most load during a ride falls for the gear shifting mechanisms like sprockets, cassette, and chain. These elements need frequent cleaning and lubricating, and you will need to change them after 5,000–20,000 km depending on your riding style and ambient conditions. Tires are fast to wear out and if you ride for 2–4 hours every day you will get used to changing them quickly. The calipers generally have the wearing indicators so you will know when it is time to replace them if you check from time to time. All the cables are replaced at the same time when the cable gets loose but before you have to replace them there is an option to adjust and tighten them with the shifters and brakes. 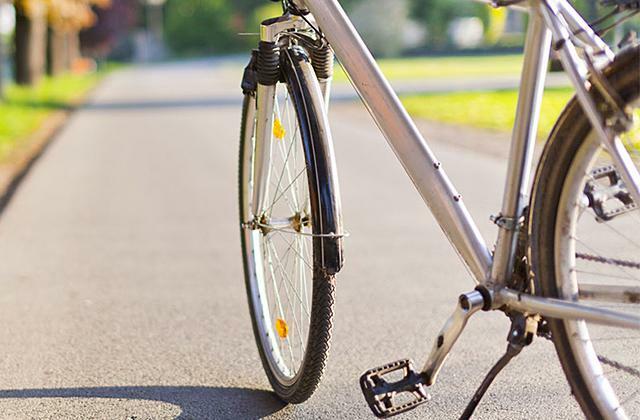 In case of prolonged road bicycle use, there will be a need to change the bushings and bearings, but the average working period before such a need arises is 10,000–20,000 km. As for the seat and pedals, it is pretty easy to monitor their wear. Usually, if you do not crash or fall, the seat and pedals can be operational for a very long time. 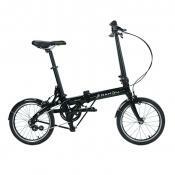 With a Kickstand you will have no problems getting your road bike to stand no matter the surface. A Water Bottle Holder and a Water Bottle will save you from dehydration during long rides. Lately, more and more people give up public transport and sometimes even personal cars in favor of bicycles. The reasons for that vary as bikes provide so many different benefits, from being environmentally friendly to being cheaper and health-supportive in a longer perspective. They are easier to move in tight rush hour traffic, too. And remember that feeling you had when you were a kid and got your first ever bike? Remember that thrill? Your first ride and friends to race to school with, all the bittersweet memories. Today there are so many different bikes that sometimes you do not know where to look first. 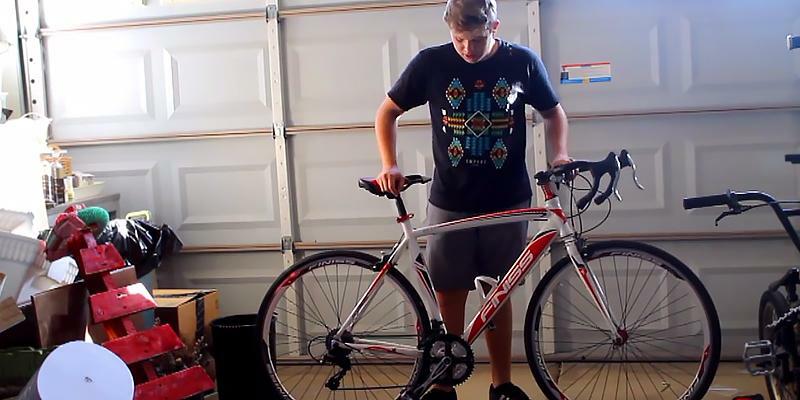 Here in this review, we would like to lay out some important knowledge about Road Bikes. Road bikes were initially created for racing on smooth roads at high speed, meaning all the specs are targeted at increasing aerodynamics. For example, common for many road bikes drop handlebars allow the rider to change the body angle against the wind and consequently increase the speed. The same goes for 28"–29" rims with thin high-pressure tires. With them, you will accelerate faster. Road bikes usually feature gear shifters with high responses that make it possible to ride at 40 km per hour and faster. The frames of road bikes are light and more often than not they lack suspension as it may hinder in keeping cruiser speed. Once again, speed is the main advantage of road bikes. When you ride at high speed, it is important to assure safety. Therefore, Bike Helmets and Sport Sunglasses are a must. 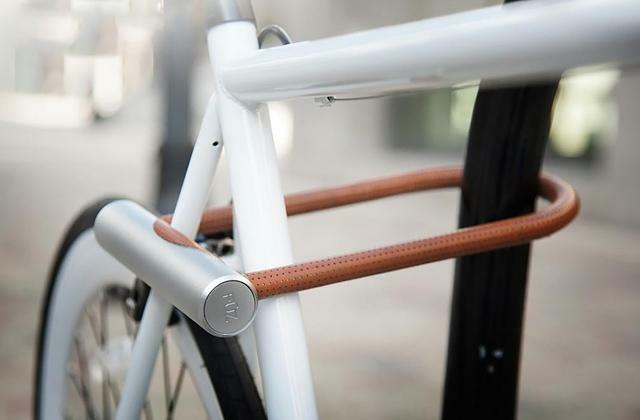 And to be sure your road bicycle won't be stolen, consider buying Bike Locks. If you didn't buy anything of those yet or you are looking for something better, please feel free to visit respective reviews on our site. The road bikes market is overflowing with offers so much that it's dizzying. Having this wide a selection, you may need tips as to what to consider when buying one. Let us help you. Almost as important as frame size is the Frame and Fork Material. 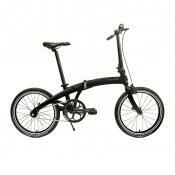 The range here is also fairly wide but the most popular are aluminum, steel, titanium, and carbon fiber frames. 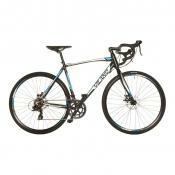 The material affects weight, durability, and, obviously, the price of your road bicycle. Aluminum is light yet sturdy enough, it is the leader among the buyers. 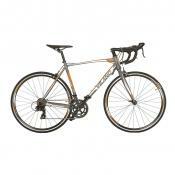 Steel frames are a bit heavier but stronger than aluminum ones, and they are also quite affordable. These are the best choice for tourists. Titanium is as light as aluminum and as durable as steel but pricey. And carbon fiber is even better by both parameters, sometimes to the point where it is brittle. Also, when settling for a very lightweight road bike, keep in mind that all the accessories are to be light too. The same goes for the rider's weight — if you are tall and strong, or weigh a lot for any reason, we recommend you to place the frame strength above the light weight. Finally, there are Groupsets that play a major role in the rider's comfort. The number of sprockets in a cassette and in a crankset corresponds to the number of available speeds. The more speed options your road bike has the more comfortable your travel will be on different terrains (you will definitely feel the change riding up or down a hill). 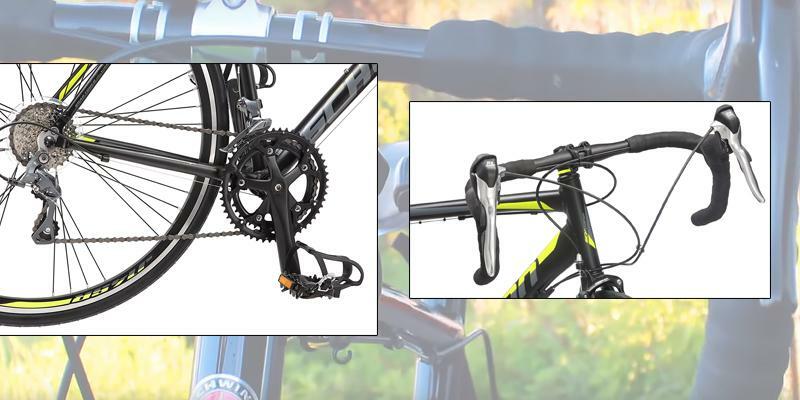 For the gear shift to be as precise as possible, you will need good derailleurs, also called mechs, that guide the chain between the sprockets. Good brakes can save your life, therefore it is important for the brake mechanism to respond flawlessly and the brake levers to be comfortable. 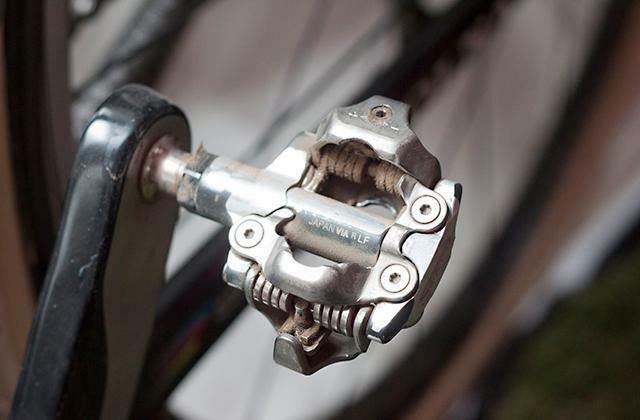 The most common are the caliper brakes, however, more and more road bikes today may be equipped with more powerful disc brakes (but those are not UCI-legal currently, so no UCI races with them). 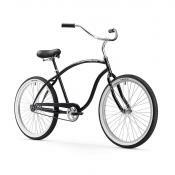 The gear shifters and brake levers are located on the bars and some model can have them combined, meaning the braking and the shifting are both performed with the same levers. 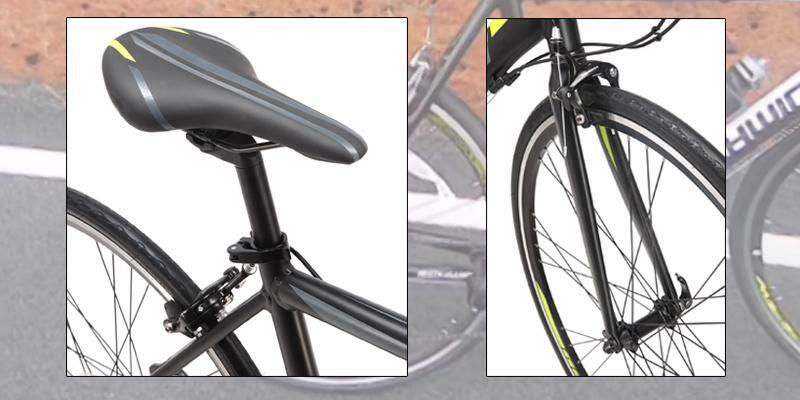 To obtain maximum Comfort we suggest you set the saddle height with a seat post clamp which usually is easy to adjust. The wheels contribute to the aerodynamics and speed. The generally recommended rim material is aluminum as it is lightweight and durable enough. 1. 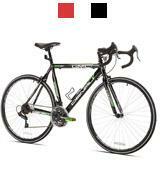 John Higgins Road Bikes: How to Choose, REI co-op. August 12, 2015. 2. Buying a road bike - how to choose the best one for you, BikeRadar. March 23, 2015. 3. 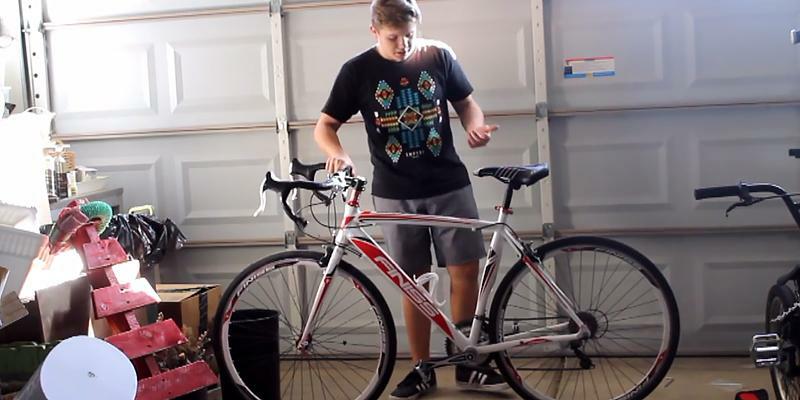 David Arthur Buying your first road bike — everything you need to know, Road. July 26, 2016. 4. Beginner's guide to buying a road bike, Wiggle. 5. How to Choose a Bicycle, wikiHow. 6. Cycling records, Wikipedia. Last modified on October 7, 2016. 7. Colin Henrys Six essential bike maintenance skills every cyclist should know, Road Cycling UK. April 20, 2015. 8. 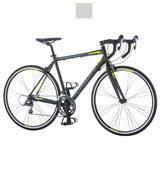 Choosing the Right Bike, BikeExchange. August 12, 2014. 9. Russ Bengtson 10 Things You Need to Know Before Buying Your First Road Bike, Complex. June 07, 2014.